Gone are the days of cold and uninviting design. 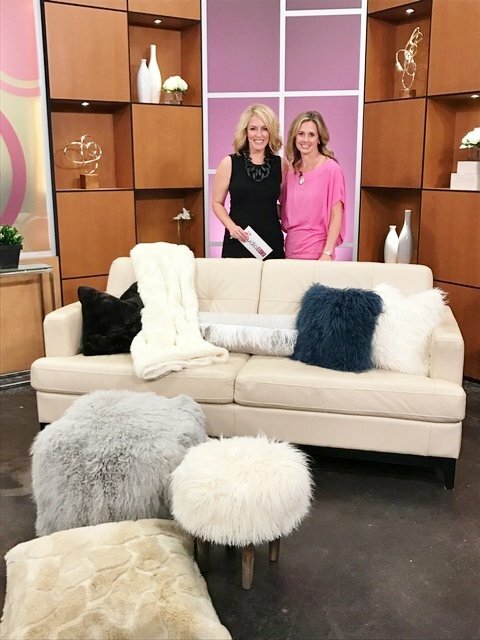 If you want your home to feel comfortable while still looking luxurious, we have some fun accessories to consider: furry accents! They are one of our favorite ways to cozy up a room. 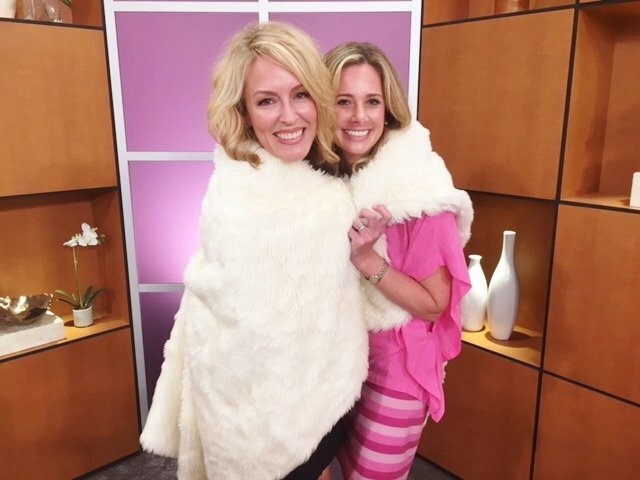 In our latest segment on NBC’s KXAN ‘Studio 512’, Heather shares, with host Amanda Tatom, tips on how you can soften your home with these furry finds. You can read Heather’s decorating tips below and be sure to tune in at 11am on July 5th to watch the full segment! 1. Add it to a space that needs texture. If you have a more tidy or dressy space, incorporating mohair poufs or faux fur pillows can add some drama and glamour. They can also help contrast against contemporary and modern elements, making your home feel more inviting and less cold. Furry accents are great accessories for a bedroom or living room since these are the main spaces you want to feel cozy/comfortable. If you want extra seating or need something to take up more space in a living room, furry ottomans are a functional and decorative option. They are also kid, family, and pet friendly, which is a plus! You are not limited to fur either. There are lots of fun details like feathers on pillows or in art that will still give your room texture and softness. Faux fur is like a good neutral. It goes with everything and can be used year round. Grays, creams, and tans serve as better options for Spring and Summer time as darker shades are better for Fall and Winter. Limit your fluffy accessories to one or two items. Just a touch is sophisticated. You don’t want your room to look too contrived or trendy. 4. Check the care requirements. Opt for fur that can be washed or treated. Most fur can be washed with cold water and be air-dried. You want to be sure it can be maintained; otherwise, you will end up wanting to get rid of it. Our retail shop currently has a mix of poufs and pillows that will allow you to incorporate the look into your own home. Stop by or shop online to make your home feel and look cozy.